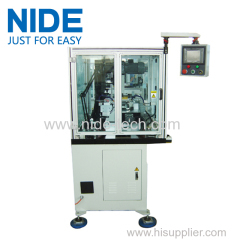 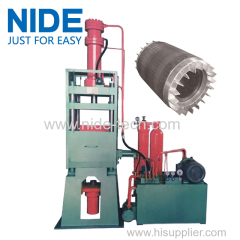 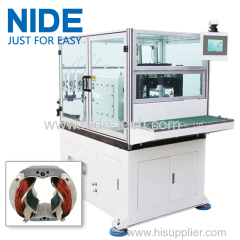 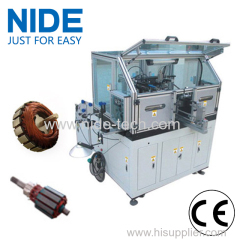 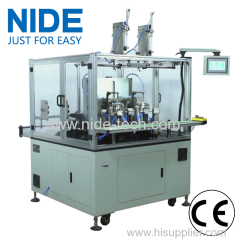 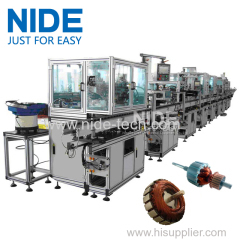 Automatic armature die casting machine (70T) from China manufacturer - Ningbo Nide Mechanical Equipment Co., Ltd. 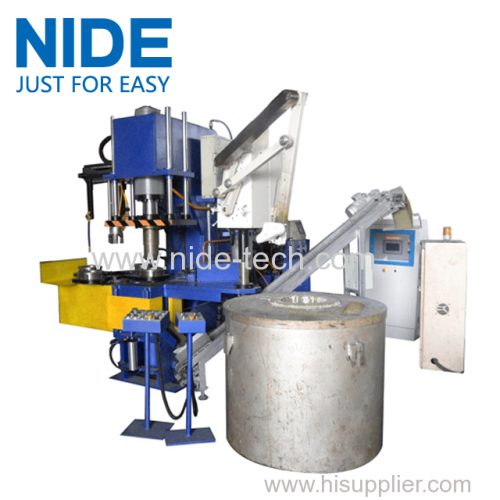 This armature die casting machine can do positioning, transferring, die casting, cooling and unloading automatically. 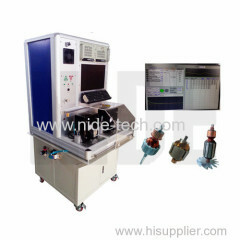 It is cost saving and health. 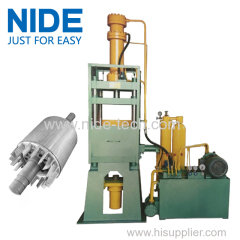 Comparing with the conventional die casting machine, Our automatic rotor die casting machine has following features. 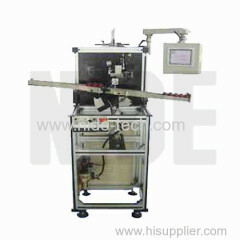 a. labor cost saving, only one operator required, the alumium scrap automatic recycle. 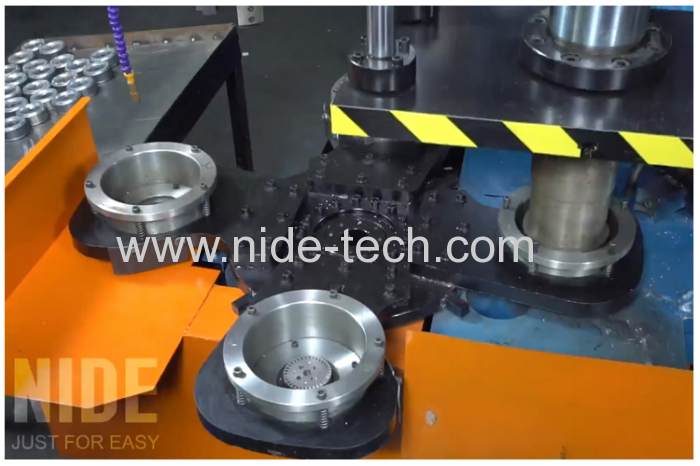 b. safe, it is very easy for operator to run the machine, operator only need to press "start" button, no need to handling the heavy tooling which might occur body injury, and the machine has aluminium anti spatter design to prevent the aluminium liquid from spraying and cause injury. 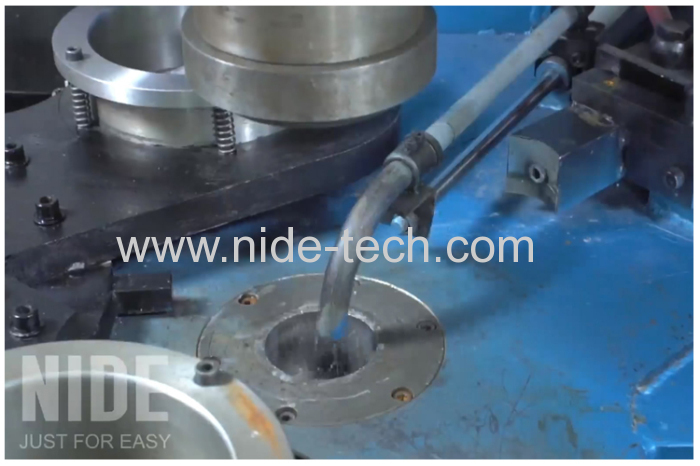 d. Power saving, and tooling cost is much less and fast tooling changeover. 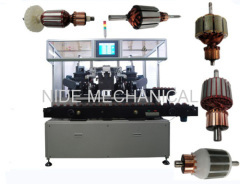 We directly and indirectly supply our machines to more than 40 countries, We sincerely wish there is a chance to be of service, make your work easier and reduce your cost!